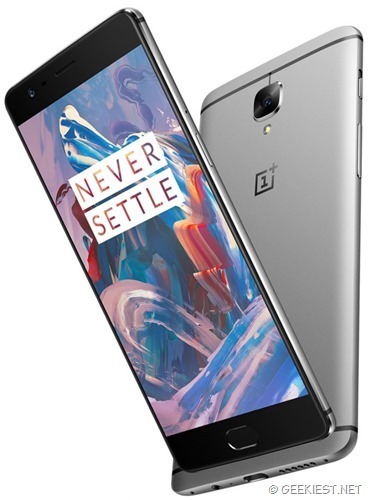 OnePlus the Chinese company will be announcing the latest flagship of them, the OnePlus 3 on June 14, 2016. The launch event will be a Virtual reality event. The launch of OnePlus 2 was also a Virtual reality launch event which was not as successful as expected. Yesterday we covered about FREE Oneplus Loop VR Headset, which is in advance with the launch event of OnePlus 3. Last year OnePlus gave the OnePlus cardboard for INR 1 for the launch of OnePlus 2 and this time it is loop VR headset. The launch event date was accidently leaked by an OnePlus employee over chat. The image shown above is the leaked rendering image of OnePlus 3, the device is expected with Snapdragon 820 processor, 5.5-inch AMOLED display, 64GB of Storage3000mAh battery, 16-Megapixel primary camera and 8 MP front camera. The operating system will be Android N. 4GB or higher amount of RAM is expected on the device (a 4Gb and a 6GB variants are expected). Does the design of the device look familiar ? yeah it seems inspired by the HTC flagship devices. The final design may change but for the time being this id the last leaked render of OnePlus 3. OnePlus 3 launch date and other details of the device.